Remember when I posted the sketch for my mom’s crochet painting? It came out a bit differently than I thought, but still cute, if I do say so myself! 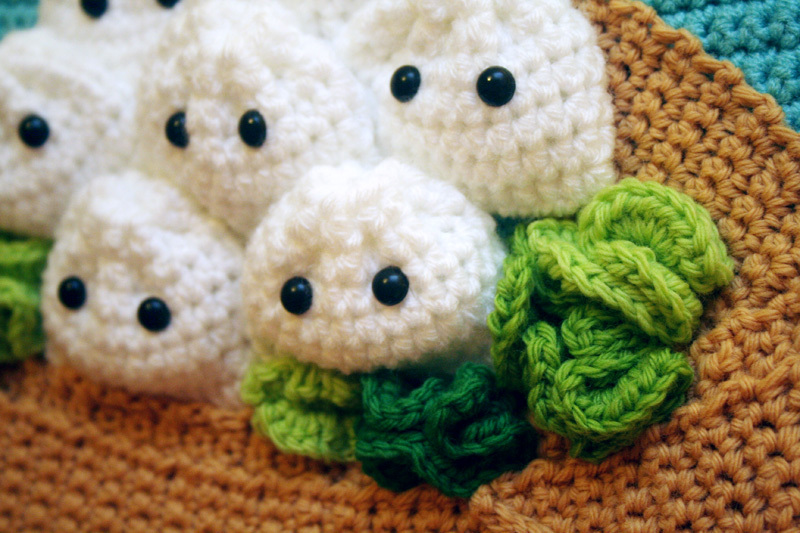 They are supposed to be little steamed buns or dumplings: bao bao! BaoBao is also my mom’s dog’s name. I hadn’t really planned on stuffing the dumplings/buns, but it just sort of happened. I had no idea how I wanted to execute the bamboo steamer when I first sketched it, and that proved to be kind of the most challenging part. OMG! That has got to be the cutest dim sum bao I’ve ever seen. Awesome job! is that ever cute! 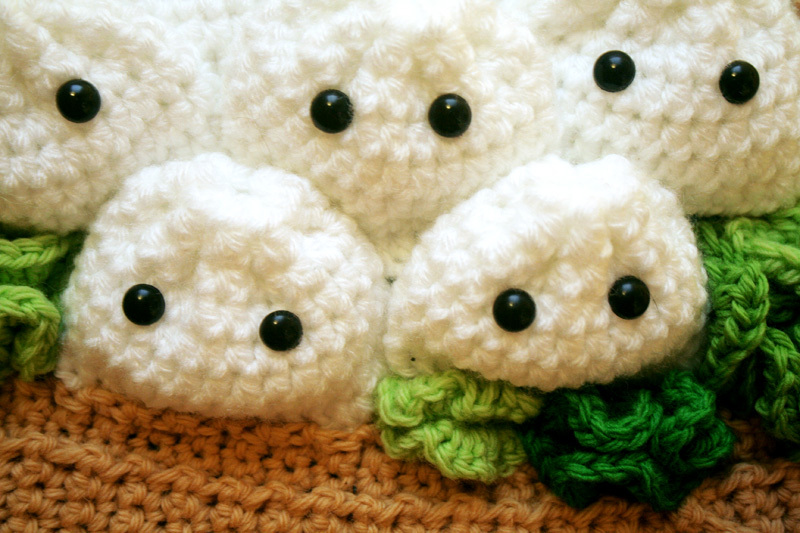 their little beady eyes….i just want to hug them/eat them. Everything you do is magic! Oh wow, this is even cuter than I thought it would be! Great idea to stuff them I think. Ahhhhhhh! So edibly adorable! I think they came out great! I love it! I actually love the idea of a “chrochainting”! Because I don’t think I would use too much other crocheted stuff. 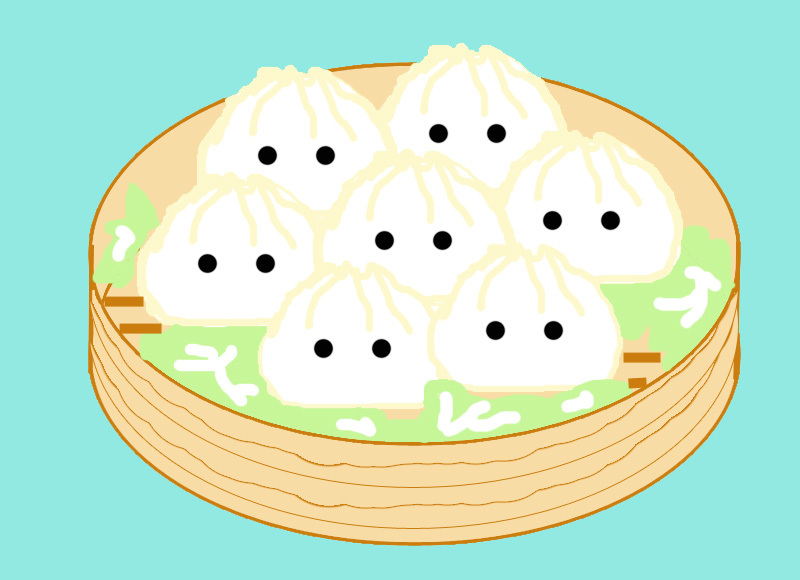 This dumpling one is so cute!! O.M.G. – they are adoraaaaable! Aw, I loved the galactic donuts one you did, and was definitely wanting to buy it, but knew I’d not have the money anytime soon for it 🙁 But I suppose I’m glad someone else will revel in it’s happiness aaaand that you’ve got some cash for your first one! 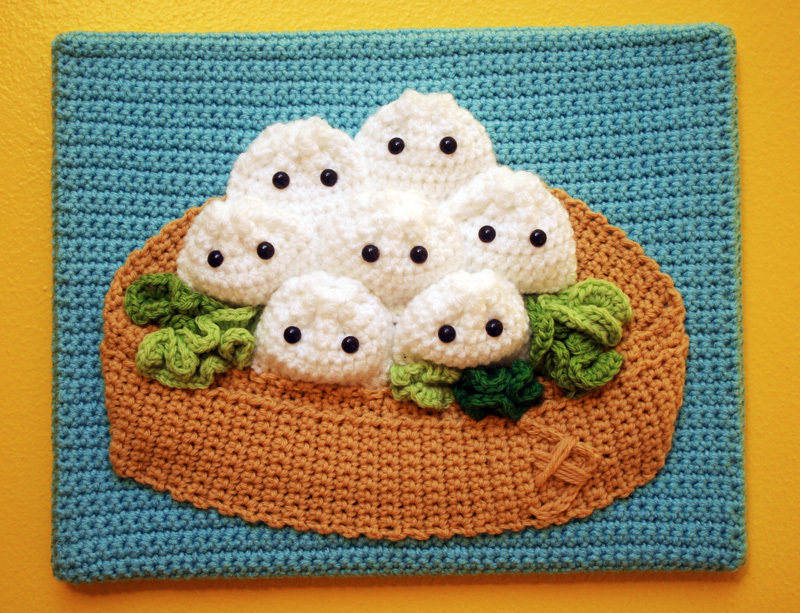 This is absolutely adorable, I haven’t seen such awesome crochet skills before! It looks even better in the ‘flesh’ or yran shall we say haha!! Oh, wow! This is the cutest thing ever! And I’m jealous of whoever bought the galactic donuts because it is amazingly adorable!